Marquee Poster Blog | Welcome to Marquee Poster! 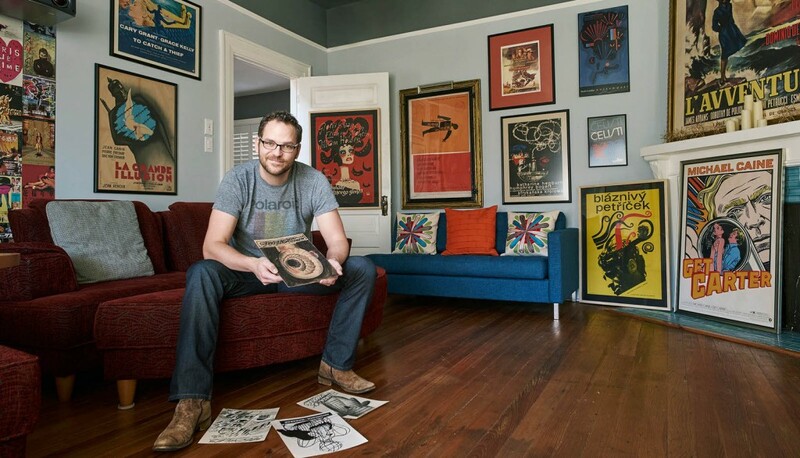 Matt Johnston, owner of Marquee Poster. Hello and welcome to Marquee Poster, the web’s newest destination for vintage posters, prints and lithographs! As a long-time collector I’ve amassed many more prints than I could ever hope to display so I’ve decided to begin sharing this passion with the world. While the launch version of this website will only include a small fraction of my total inventory, I hope to make more and more prints available for purchase over the coming months. As I slog my way through photographing, researching, cataloging and publishing my collection I also plan to use the Marquee Poster blog to share the knowledge I’ve gained over years of collecting. In addition to general poster news and events, I will be publishing articles on a range of topics including: storage, authentication, shipping, valuation, photographing, and displaying vintage posters and prints. I truly believe vintage lithos are one of the most under-appreciated art-forms — combining incredible designs with historical significance and available at price points that are significantly more affordable than traditional art. Whether you are a collector, an investor, a film buff, or you simply want a print that will make a bold statement on your wall, I would appreciate the opportunity to help you find the perfect poster! Marquee Poster specializes in vintage film and movie memorabilia, but I also stock all manner of vintage lithos including: travel, transportation, advertising, military, space, propaganda, political and music. This website was designed to be a pleasure to browse – so please grab a beverage of your choice, sit back, relax, and enjoy the visual treat! If you have questions or comments on either the website or regarding particular posters, I would love to hear from you. Thanks for your visit!